I learnt to write songs on a beach in Maryland when I was 20 years old. I was sleeping in a hammock in the woods on the edge of town, trying to make a girl fall in love with me. Busking for change on a boardwalk on the beach will put words in your mouth. Riding horses and driving tractors in Southern Alberta was my childhood. I was a farm boy and I spent my days wandering with my dog, humming the songs I heard on the AM radio. My grandpa could spin a story out of anything and he taught me how to do the same. I started an indie rock band and we were together five years. We had an old red van and we toured the country. I fell in love with every town and city we ever played in and every highway line we ever passed. My roots caught up to me as they often do as a person grows. I remembered all my time on the farm and all the stories my grandpa told. Folk and country music started to call my name and I started to learn how to play it. 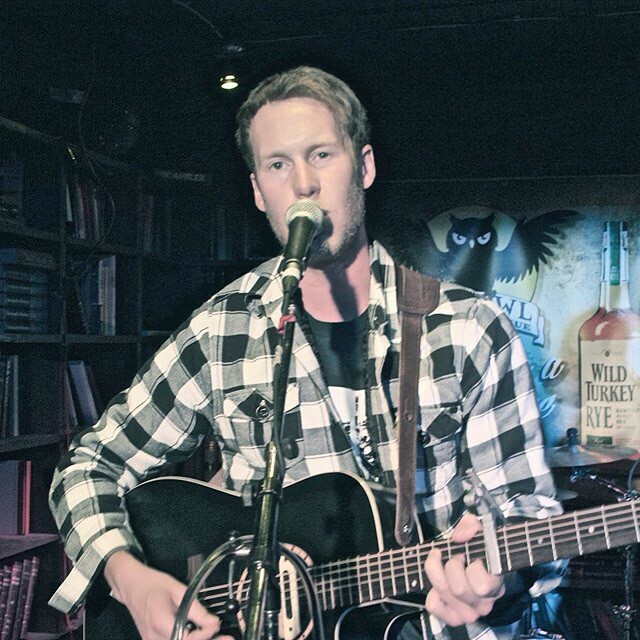 My name is Tanner James and I am a singer, a runner, a traveler, a dreamer, a troubadour and a guitar picker. Most of all, I’m a storyteller, and I have given up everything to do it.